Is My COMPRESS Current with the Latest ASME Code? 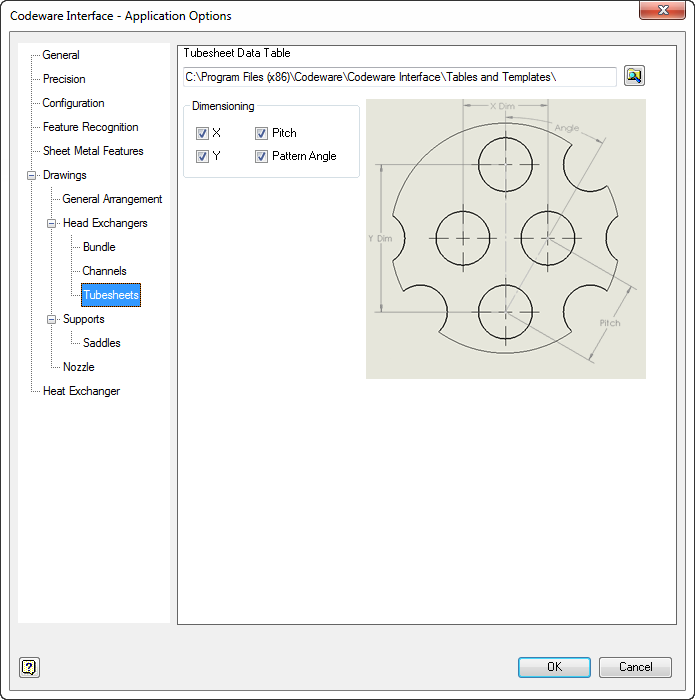 The Codeware Interface (CWI) saves designers time and reduces errors by quickly generating SOLIDWORKS® or Inventor® pressure vessel solid models from COMPRESS and INSPECT designs. It also includes Drafter 3D, which saves yet more time by creating pressure vessel drawings from the solid models it creates. The CWI is available as an add-in for SOLIDWORKS or Inventor and is supplied at no extra cost to Codeware clients. It manages the data associated with the imported design files through the use of iProperties (Inventor) or Custom Properties (SOLIDWORKS). The CWI also supports the use of advanced solid modeling techniques such as Assembly Representations, Configurations, Features, Sketches, Sheet Metal and Mates. The solid modeling and pressure vessel drawing functionality provided by the CWI is not available from any of our competitors and is included at no additional charge with each current COMPRESS or INSPECT license. 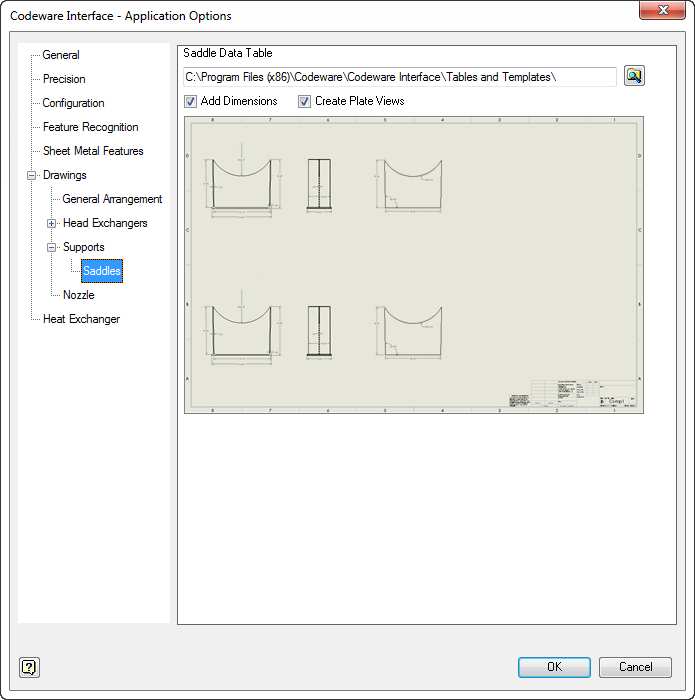 The CWI can automatically create to-scale pressure vessel drawings that include assemblies, bills of materials, nozzle details, cut lists and custom Appendix 2 flanges. The heat exchanger drawings generated add details such as tube bundles, U-tube bend schedules, baffles, tie rods, spacer tubes and impingement rods. The CWI produces drawings that conform to your company’s drafting standards through the use of customizable tables, templates and functions. Because assembly Representations and Configurations are used during model generation, it is easy to create and populate custom nozzle schedules, shell, flange and other tables. COMPRESS 3D pressure vessel solid models can also be exported directly to AutoCAD using the STEP file format. This option does not require SOLIDWORKS or Inventor. The CWI integrates with Shopfloor, our welding management system. 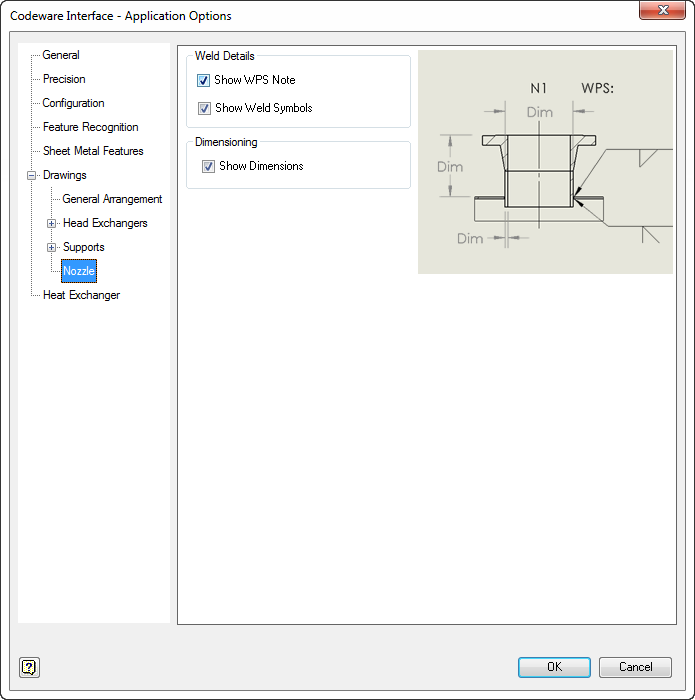 When used with Shopfloor, CWI generated drawings can automatically include Shopfloor WPS assignments. Efficiently create and customize front, side and isometric views of your vessels. The front and side views include attachment angle, ordinate, length along with height/width dimensions. Customizable heat exchanger drawings include bundle, channels and tubesheets. Applicable height, width, thickness and tube layout dimensions are available for automatic application. 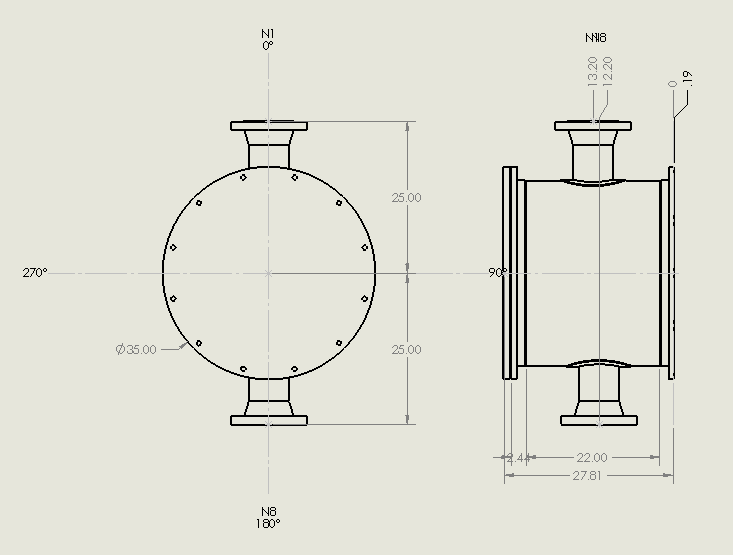 Custom flange detail drawings automatically include the component identifier and dimensions. 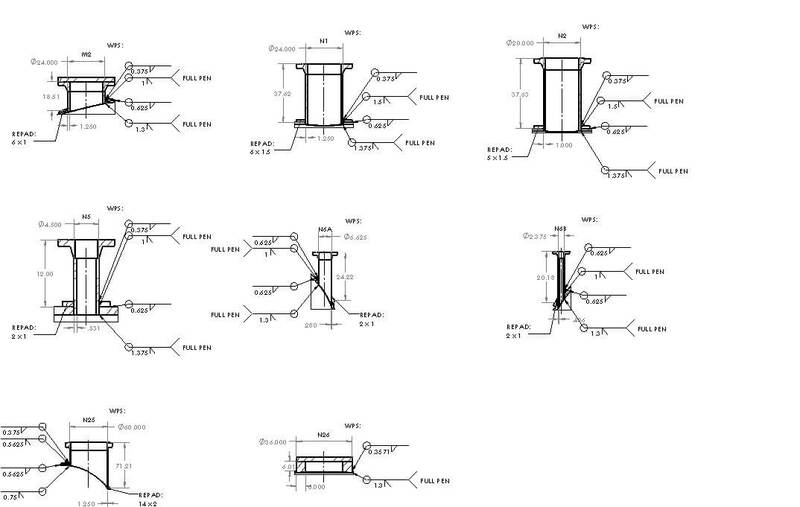 Nozzle detail drawings automatically include WPS notes, weld symbols and dimensions. A new 2019 feature that speeds up the process of pressure vessel modeling. Software packages like COMPRESS exist to increase productivity and save Engineering hours. 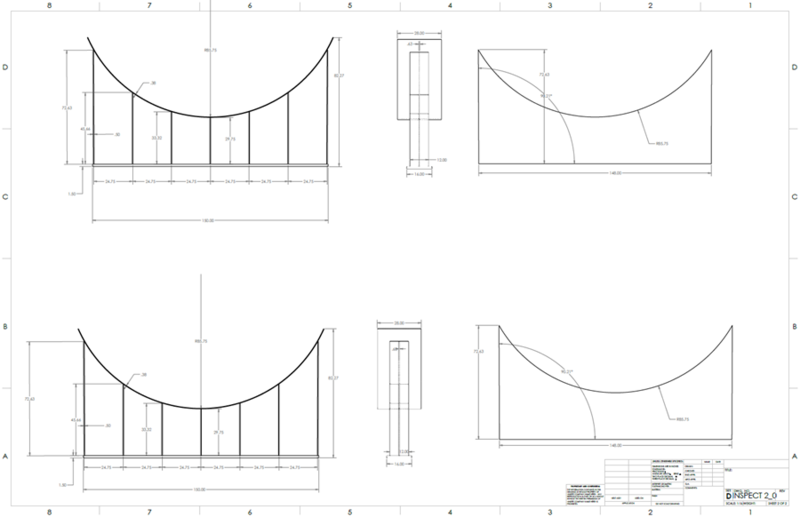 Perform ASME UHX and TEMA calculations and transfers these designs to your estimating and drafting departments. Many companies use the alternative rules of Division 2 because of the cost savings, versus Division 1. The rules of UCS-66 guard against vessel failure by brittle fracture, a low probability high consequence event. Pressure vessel FEA is more accurate than the methods of WRC-107, WRC-297 or WRC-537. The Vessel Wizard speeds pressure vessel design by creating complete pressure vessel models with minimal input. Import files from COMPRESS and create user customizable pressure vessel cost estimates in spreadsheet format. 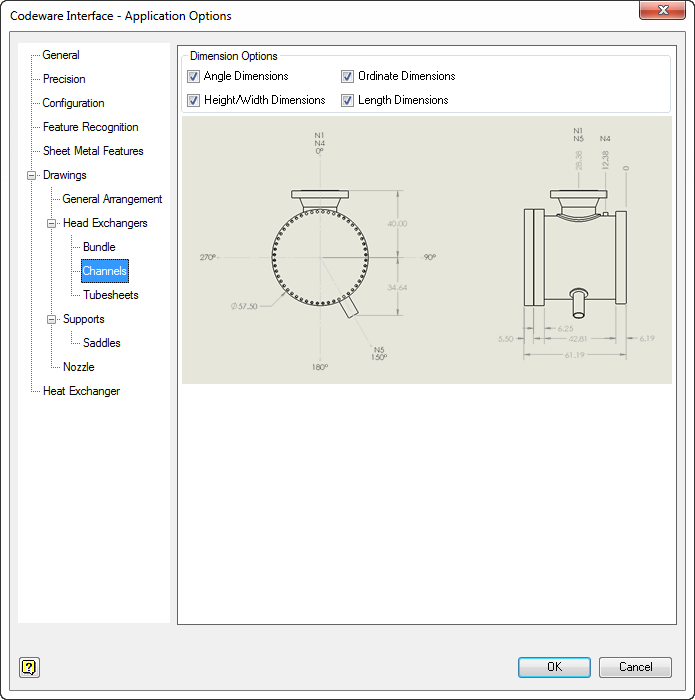 Create optimized Appendix 2 (custom or body) flange designs with minimal time and effort. Designers can visually confirm good practices such as staggered longitudinal seams. Use an accurate weight, the correct center of gravity, and apply the actual section properties. 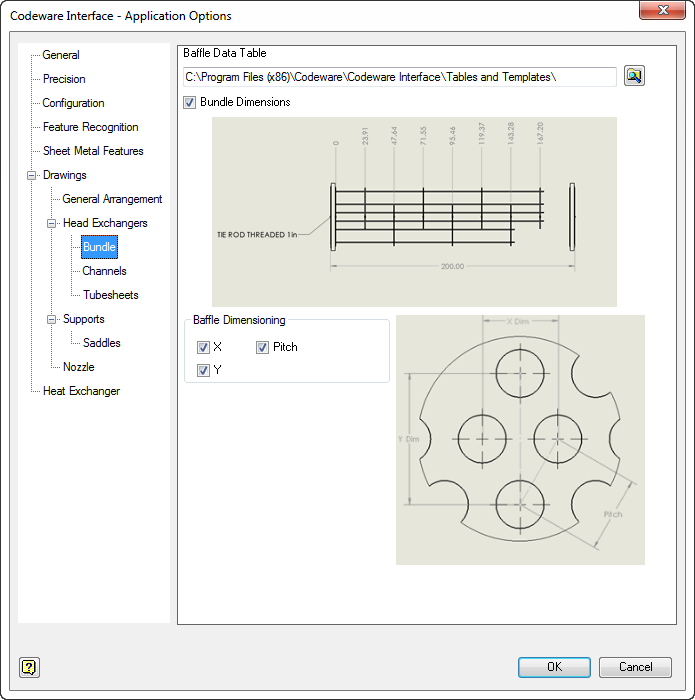 The Codeware Interface includes Drafter 3D, a feature that auto-generates 2D pressure vessel drawings. COMPRESS implements a wide range of related engineering methods, codes and standards. Save time by reducing the trial and error iterations that would otherwise be required when designing pressure vessels. The COMPRESS Rating Mode takes your design and determines the vessel’s MAWP, MAEP and MDMT. Performing hydrotest stress calculations in the design stage prevents equipment damage during hydrotesting. COMPRESS saves time by calculating chord openings and governing planes of reinforcement automatically. Older ASME Codes are retained in all COMPRESS releases so you can always use the latest software. COMPRESS eliminates the need to manually calculate each vessel component’s liquid static head. The Loads Menu allows designers to easily consider global external loads when sizing pressure vessel supports. Designers can quickly include the mechanical effects of pressure vessel internals and attachments in their designs. Certain industrial processes require pressure vessels with multiple chambers operating under different design conditions. Produce more economical Div 1 pressure vessel designs with increased accuracy from the Div 2 design by rule equations. Simplify the creation, submission and management of ASME Manufacturer’s Data Reports and NBIC Repair and Alteration Forms. COMPRESS, Productivity and the Other Guys. 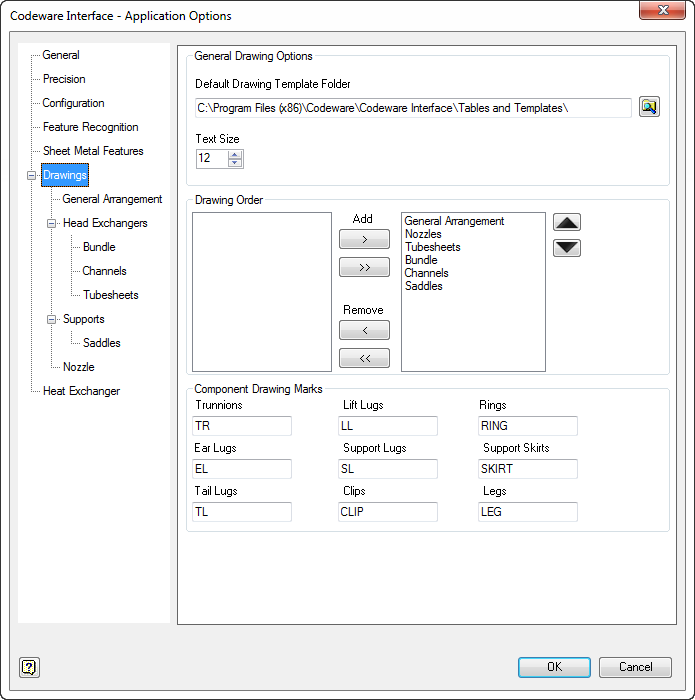 Add heat exchanger functionality to COMPRESS. 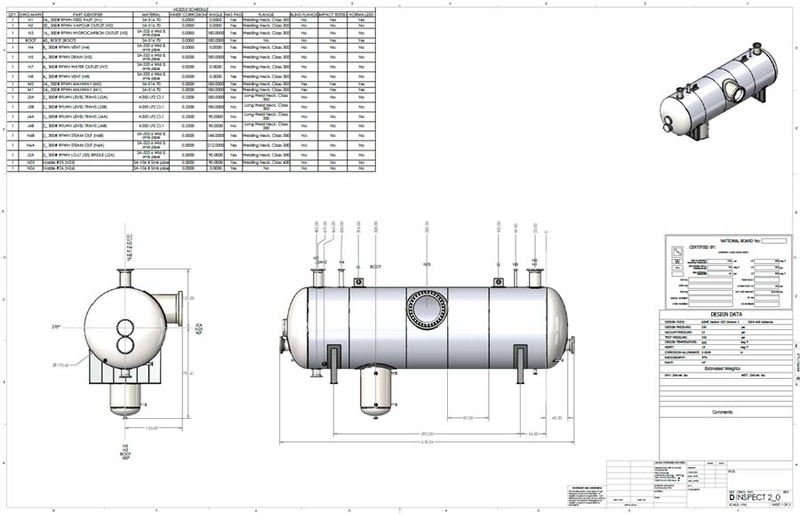 Design or de-rate Division 2 pressure vessels. The importance of UCS-66 in preventing vessel brittle fracture failures. FEA takes over where WRC-107 leaves off. Speed pressure vessel design using minimal input. Generate costed bills of materials by creating interactive Excel spreadsheets. 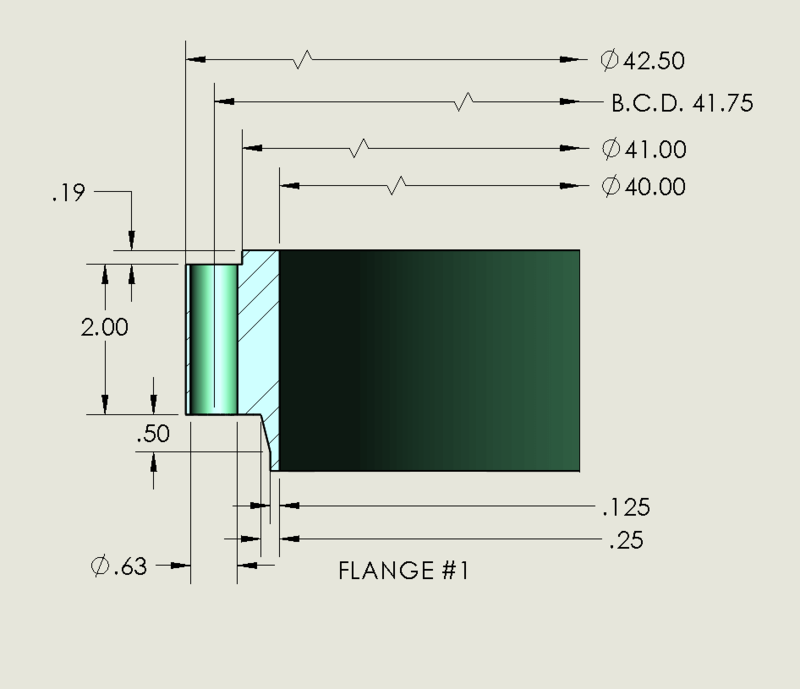 Create optimized ASME Appendix 2 flanges. Enhance Productivity with Quick Design Mode. Enhance productivity by speeding up the process of pressure vessel modeling. Locate pressure vessel weld seams. Use an accurate weight, the correct center of gravity, and apply the actual section properties with the Lifting and Rigging Analysis feature. Leverage the power of SOLIDWORKS® and Inventor®. The Codeware Interface (CWI) is no extra charge and includes Drafter 3D, a feature that auto-generates 2D pressure vessel drawings. Complementary engineering methods, codes and standards. Quickly size pressure vessel components. Design Mode saves time by reducing the trial and error iterations that would otherwise be required when designing pressure vessels. Find a pressure vessel’s MAWP and MDMT. Avoid damaging equipment during hydrotest. Hillside, tangential and tilted nozzle design. COMPRESS includes 20+ years of ASME Code Editions. Automatic Liquid Level feature saves time and reduces errors. Easily consider global external loads when sizing pressure vessel supports. 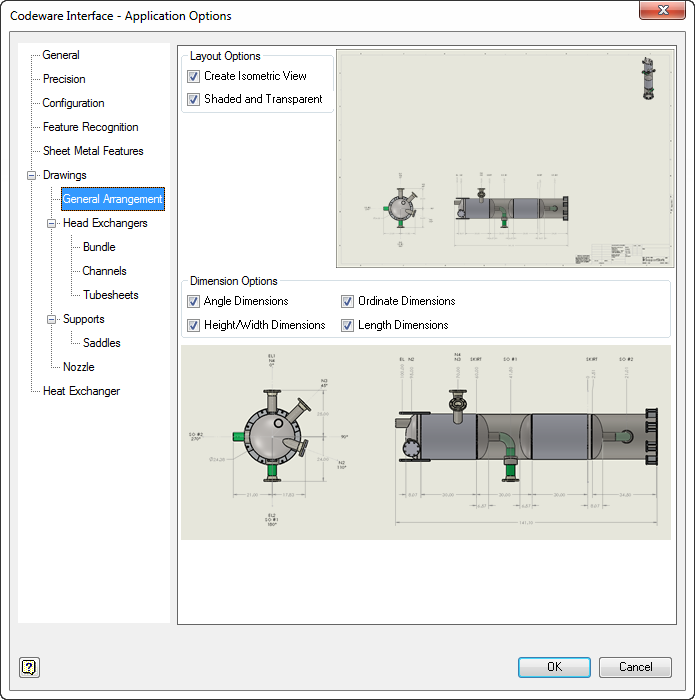 The COMPRESS Loads Menu allows designers to easily consider global external loads when sizing pressure vessel supports. Quickly include the mechanical effects of pressure vessel internals and attachments. Attach menu allows designers to quickly include the mechanical effects of pressure vessel internals and attachments in their designs. COMPRESS supports multi-chamber, vertically stacked vessel designs. Certain industrial processes require pressure vessels to be built with multiple chambers operating under different design conditions. Use Division 2 rules with Division 1 allowable stresses. CC 2695 produces more economical Division 1 pressure vessel designs due to increased accuracy from the Division 2 design by rule equations. Simplify the creation, submission and management of ASME Manufacturer's Data Reports. Speed up documented data reports by transferring design information from the COMPRESS model directly to the selected ASME form.